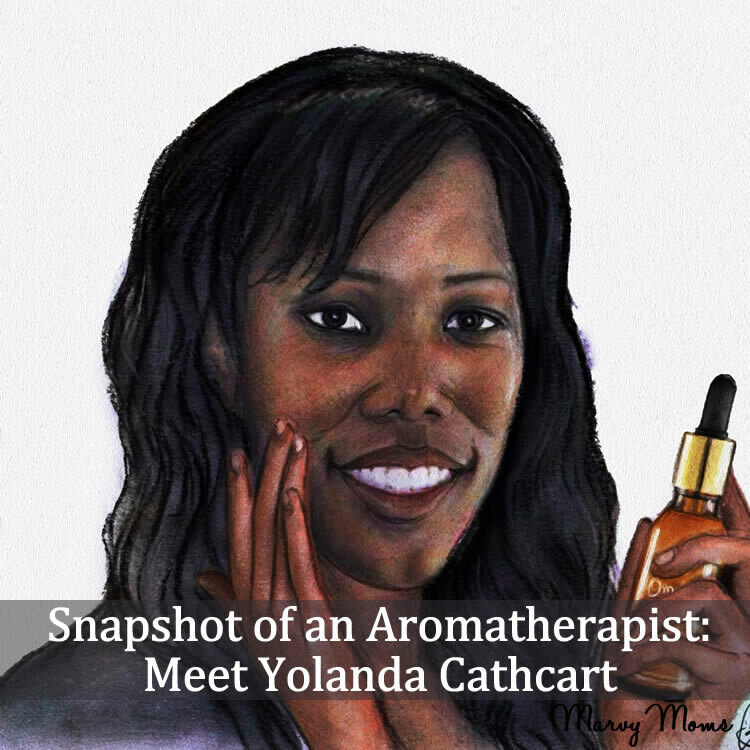 Yolanda Cathart describes herself as a professional student that loves learning (an aromatherapist after my own heart). I briefly spoke with her at a pain and inflammation class given by Rhiannon Harris Lewis in 2016 and didn’t realize the extent of her experience. Paula Begel suggested that she would be a good aromatherapist to profile in this snapshot series. Yolanda is the owner of Aromatherapy Oasis in Roosevelt NY where she offers aromatherapy classes (both online and in-person) and aromatherapy consultations with custom blending. What got you interested in aromatherapy? Tell us a little bit about your aroma-story. I was introduced to aromatherapy at a natural product formulation class I attended in California around 2009. I loved using aromatherapy products in lieu of fragrance oils because of two main reasons: I hate the smell of artificial fragrances and they give me a severe headache. How long have you been interested in aromatherapy? I would say that I became more interested in aromatherapy after attending a soaper’s conference in 2011. I was sitting at a table with some soapers that were saying that using essential oils could be dangerous and that they would never use them. This piqued my interest because at that point in time I had used them without any problems. I witnessed some amazing benefits and decided that it was time to learn from a professional. So, I looked online and found an in person certification class that was in the same state as me. What do you love most about aromatherapy? I love that aromatherapy has a broad range of benefits when used properly. 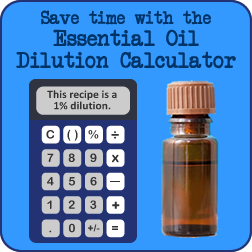 I was initially amazed and I am still amazed at how an oil can have an profound effect on our emotions as well as the therapeutic part. What other specialty training have you had? How do those things relate to your work with aromatherapy? I will be completing my degree in massage therapy and preparing to take the board exam in a few months. I love the idea that I will be able to use aromatherapy responsibly when in practice. My school focused a lot on TCM (Traditional Chinese Medicine) and I am looking forward to incorporating acupressure with aromatherapy when necessary. I use aromatherapy to cope with some emotional struggles that may arise. Aromatherapy has supported my family in great ways both emotionally and therapeutically. I am known as the aromatherapy go to person at work which is pretty cool. I provide a series of miniature aromatherapy classes that range from introduction to aromatherapy to skin care formulation classes. I stress the importance of safety and suggest that more is not always better. Tell us a story about how you’ve successfully used aromatherapy with either yourself or a friend or client. When I first started offering consultations a lady reached out to me because she wanted to use something natural due to scarring from an emergency surgery. I made up a blend and was happy to receive feedback that her doctor was impressed at how well her scar had healed. What are you most excited about with regard to the future of aromatherapy and your place in it? I love the fact that more people are becoming aware of aromatherapy and this is the time to teach them about the safety of it as well as the benefits. I have talked to some people and have recommended to them that knowledge is key and suggested that their (MLM / mulit-level marketing) line should seek more of it. I have received a lot of positive feedback from people that are selling essential oils when I suggest to them to acquire proper education. What advice would you give to someone considering aromatherapy certification? Conduct your own research. It is okay to learn from various qualified professionals. What are your top 3-5 favorite essential oils and what do you love about them? Lemon (Citrus limon) because it makes everything around me feel bright and fresh. It always provides me an emotional uplift. Rhu Khus (Vetiveria zizanoides) because it keeps me centered. Laurel Leaf (Laurus nobilis) for mental endurance. What are your top 3-5 favorite aromatherapy books and what do you love about them? Aromatherapy for Healing the Spirit: Restoring Emotional and Mental Balance with Essential Oils by Gabriel Mojay because it opened my eyes to the energetic side of aromatherapy. Aromatherapy for Health Professionals, 4e by Shirley & Les Price because I love the documentation of the clinical studies. I made an massage blend for an individual suffering from PTSD. The blend was her favorite and it supported her in a positive way. It was used for emotional support. I also supplied an affirmation to use from Louise Hay: “I feel protected and safe at all times.” I instructed the client to use the massage oil several times a day or when needed. The blend was to support feelings of anxiety, stress and to bring calmness to the heart. Thank you, Yolanda, for sharing your aroma-story with Marvy Moms! Read other snapshots of aromatherapists.